Common sense tells us that Internet voting is the wave of the future. That is why Web-Impac has developed a user-friendly software system that authenticates and authorizes a secure voter identity, and records voting results. Additionally, we offer adequate backup and protection against hacking and voter fraud. Our systems are modeled after the banking industry which has similar security encryption and protocols. Our primary system can be licensed to function as a basic application or built specifically to meet customer requirements of either a government entity or private enterprise. No system can guarantee it is completely hack-proof. However, it is possible to establish countermeasures where hacking is identified early in the process and stopped and corrected from our dedicated Command Modules. Our goal is to help create safeguards that are sufficiently difficult enough to discourage hacking of our system. So how does our software work? When a voter has made a selection, the Computer Servers make an inquiry and verifies the selection. The voter is once again requested to authenticate themselves with information only they know. The voter selection is sent simultaneously to several undisclosed Computer Servers and cross-referenced. Where some jurisdictions require a paper ballot for human re-count, our system can provide a completed printed individual ballot as the vote is taking place and/or any time after that. Historically there have been incidences of lost paper ballots, hanging chads (paper punch-outs), and so forth. 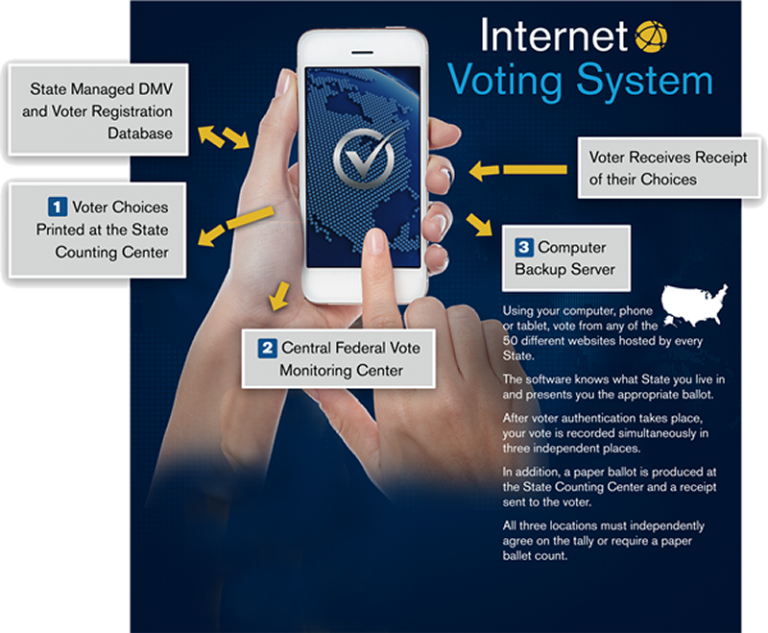 The Web-Impac software system generates a parallel electronic and paper ballot recording system backing up each other and monitoring from the command centers to discourage tampering. Web-Impac works with each client to provide customized voter software geared to client's needs and specifications. Our Plans and Pricing are easy to use and are quoted on an individual basis since they are dependent on the needs of each customer.